Gokarna is a historically and mythologically famous place. 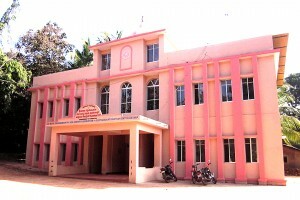 Sri Medha Dakshinamurthy Vedabhavana Samskrita Vidyapeetha was established in this place in 1879 by Ve. Hosmane Shastri and nurtured by Maharshi Daivaraata. Shri Satyadeva Brahmachari of Bhaarateeya Chaturdhama Vedabhavana Nyasa of Kanpur took this institution under his care and obtained permanent recognition and aid for the college from the government, with the help of the then governor, Sri Dharmaveera. He also helped the college to acquire a building of its own, with aid from state government and West Coast Paper mills of Dandeli. Land required for the building was granted by the seer of Sringeri muth, srimadabhinava Vidyateertha Mahaswami. In 1976, classes for all the four vedas, Alankara, Vyakarana, Naveenanyaya and Advaita Vedanta were started in this college. Classes were conducted for examinations from Prathamaa to Vidvaduttamaa. Students flocked the college not only from Karnataka, but from other states like Maharashtra, Uttarpradesh, Odisha, Bihar and even from the neighbouring country of Nepal. Students of this college are today occupying important positions all over the world, and are spreading the knowledge of Vedas and shastras. 125th anniversary of the institution was celebrated in 2003-2004. Students from the college have participated in National level competitions and won Gold, Silver and Bronze medals. In 1989, the Bhaarateeya Chaturdhama Vedabhavana Nyasa handed over the institution to the Government of Karnataka. Since then, the college is under direct authority of the government of Karnataka. Currently, about 155 students are studying in the paathashaalaa and about 60 students in the Graduation and Postgraduation center. Shaastras – Alankaara, Vyaakarana, Naveenanyaaya, Advaita vedaanta. Sri Sri Raghavendra Bharathi Mahaswamiji of Ramachandrapura muth, who was a student of this college in his poorvashrama, has provided meals facility for the students of this college (Amritaanna).